The English garden has long served as a model for the American garden. Often American garden writers make sure that we recognize our debt to the English for teaching us about gardening. One such author was Wilhelm Miller, a Chicago landscape architect in the early 1900s. He wrote books and articles, and many entries in L. H. Bailey’s The Standard Cyclopedia of Horticulture, first published in 1901. 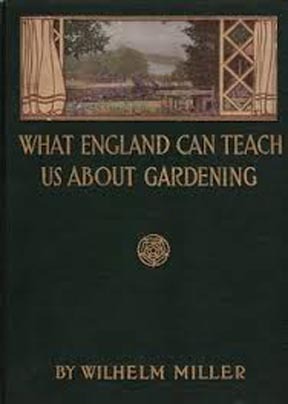 In 1909 Miller wrote a popular book called What England Can Teach Us About Gardening. 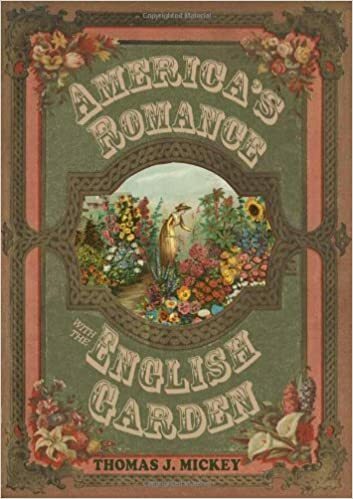 [left] Notice the romantic English garden scene at the top of the book’s cover. He also wrote an article with the title “English Effects with Hardy Plants” which appeared in The Garden Magazine, September 1909. 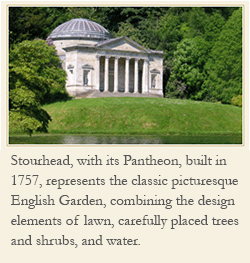 American gardeners continue to look to England for garden ideas. The gardens and retail center for the mail order nursery Whte Flower Farm sit in a beautiful country setting among the fields of northeast Connecticut. It features an English perennial border near the garden center. [below] The border measures 280 feet in length and 20 feet in width. 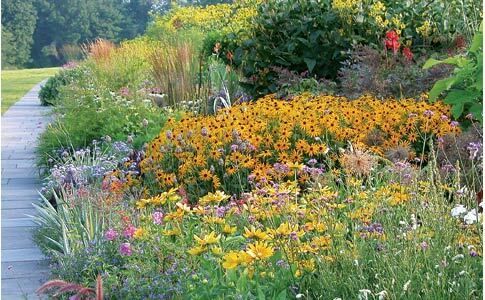 Dozens of varieties of perennials and annuals make up this collection along the walk. It is truly a beautiful border. The number of plants of one variety contribute to that grand view. I am sure Mr. Miller would love this English garden.